On Friday, the Bears signed kicker Elliott Fry to a three-year contract, Larry Mayer of the ChicagoBears.com writes. A former walk-on at the University of South Carolina, Fry recently played with the Orlando Apollos of the Alliance of American Football league, which recently suspended operations. He was a steady leg with the Apollos, converting all 14 of his attempts, with a long of 44 yards. The Bears notably had issues with their kicking game in 2018. Those issues all culminated in the NFC Wild Card round, when Cody Parkey missed a 43-yard field goal with 10 seconds remaining that would have given the Bears the lead on the Eagles. Fry becomes the third kicker the team has signed this offseason, joining Redford Jones (reserve/future contract) and Chris Blewitt. The CFL league office notified all of its teams that the AAF will not allow its players to sign CFL deals, according to Adam Schefter of ESPN.com (on Twitter). This is undoubtedly frustrating news for AAF refugees, many of whom are still without work. Over the last week, many players from the defunct AAF found deals with NFL teams. However, there are still many who are looking to stay on the NFL’s radar. For players on the fringe, the CFL is one of the best places to showcase skills, even though the north-of-the-border league mandates that players sign for at least two seasons. The AAF, of course, is in breach of the playing contracts, so it’s surprising to hear that they still have the ability to stop players from pursuing contracts elsewhere. 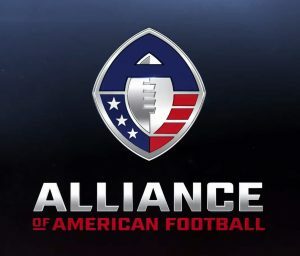 AAF players have not received a dime since the league halted operations earlier this month and some are said to be gearing up for a class action lawsuit against the short-lived developmental league. Tom Dundon, the owner of the NHL’s Carolina Hurricanes and the lead investor in the AAF, made the call to shutdown the upstart league largely because they were unable to negotiate an agreement with the NFLPA. Dundon wanted practice squad and other bottom of the roster players to be allowed to play in the AAF, but a deal couldn’t be struck in time. Many have speculated that Dundon bought into the league strictly for its gambling app technology. With Jimmy Garoppolo set to return from his ACL tear next season, the 49ers suddenly have a surplus at quarterback. Both C.J. Beathard and Nick Mullens are on the roster, and both have at the very least looked like above average backups during their time on the field. Beathard is a 2017 third round pick from Iowa who has started games in both of his first two seasons, and Mullens is a 2017 UDFA from Southern Miss who impressed when he was suddenly thrust into the starting role last season. Both are on cheap rookie deals, and there’s been a lot of speculation San Francisco could look to trade one of them. However, Matt Maioccio of NBC Sports thinks the 49ers will end up keeping all three signal-callers next season. Maioccio also writes it’s “difficult to believe that either has significant trade value around the NFL,” which is a fair point. Both Beathard and Garoppolo have suffered numerous injuries during their brief careers, so it makes sense why they’d want the depth. Tom Dundon, the owner of the NHL’s Carolina Hurricanes and the lead investor in the AAF, made the call to shutdown the upstart league largely because they were unable to negotiate an agreement with the NFLPA. Dundon wanted practice squad and other bottom of the roster players to be allowed to play in the AAF, but a deal couldn’t be struck in time. Dundon has sought to cast blame for the league’s demise on the NFLPA, but Mike Florio of ProFootballTalk.com argues the union doesn’t deserve any of the blame. Florio casts Dundon’s case as a “flawed argument,” and breaks down why practice squad players wouldn’t have suddenly saved the league. Dundon essentially came in out of nowhere and tried to strong-arm the union, so it’s hard to disagree with Florio here. The AAF decided to cease operations almost a week ago now, and we still don’t have much clarity on exactly why. All we know right now is that Tom Dundon, the owner of the NHL’s Carolina Hurricanes who became the controlling owner of the AAF with his massive investment after the first couple weeks of the season, made the decision on his own. Dundon reportedly made the call to shut things down over the objections of co-founders Charlie Ebersol and Bill Polian. At the time, we heard that many within the league suspected Dundon had just bought a majority stake in the league in order to obtain the technology behind the AAF’s gambling app. That isn’t the case, a source told Mike Florio of ProFootballTalk.com. Dundon “doesn’t own that technology, and his investment in the AAF doesn’t give him the ability to abscond with it,” Florio writes. While the gambling app theory appears to be a bust, it’s still a mystery as to why Dundon would invest tens of millions of dollars into the league, and then unilaterally decide to shut it all down just weeks later. One source attempted to explain to Florio that Dundon made the investment just to “kick the tires.” “Once he realized how expensive it was to own and operate a sports league, he initially tried to cut costs. But that resulted in a cutting of functionality,” he added. If that’s true that raises a whole new round of questions, as it’s hard to understand how Dundon couldn’t have realized how expensive it is to operate a league before actually making the investment. Dundon presumably had access to all of the league’s financial information prior to pulling the trigger. Speaking of the AAF, the league finally broke its silence yesterday. In a statement posted to Twitter, the league apologized for the abruptness of the decision. It read in part: “We understand the difficulty that this decision has caused for many people and for that we are very sorry. This is not the way we wanted it to end, but we are also committed to working on solutions for all outstanding issues to the best of our ability. Due to ongoing legal processes, we are unable to comment further or share details about the decision. We are grateful to our players, who delivered quality football and may now exercise their NFL-out clauses in our contract. We encourage them to continue pursuing their dreams and wish them the best.” The league has caught a lot of flak in recent days for how they handled the closure. Many players were left more or less stranded and forced to pay their own way home, and some were left with charges from hotel rooms and other expenses. In case you missed it the other pro football spring league, the XFL, could be looking to target high profile college players for their upstart league, as they aren’t bound by the NFL’s draft eligibility rules. On Thursday, it was reported that players from the AAF were not yet permitted to sign with NFL clubs. Soon after, the AAF formally announced that its players are now eligible to join the country’s premier football league. Initially, the AAF’s players were in a holding pattern – although the league suspended operations, their contracts were not yet officially terminated, which barred them from signing with the NFL. The AAF, which has taken a great deal of flack for leaving its players in limbo, moved quickly to 86 those contracts and allow them to seek employment elsewhere. The move likely won’t undo the hard feelings. Many of the AAF’s players were reliant on housing accommodations made by the league and were kicked out of their hotels soon after the league pressed the pause button. They also won’t be paid out for the remainder of the season, which still had two regular season games and a postseason on the docket. But, on the plus side, ex-AAF players will be able to work out and sign with NFL teams before rosters are further packed with the incoming draft class. Former NFL players such as quarterback Garrett Gilbert, running back Zac Stacy, wide receivers Charles Johnson and Jalin Marshall, and defensive end Damontre Moore could draw interest from teams in the coming days. 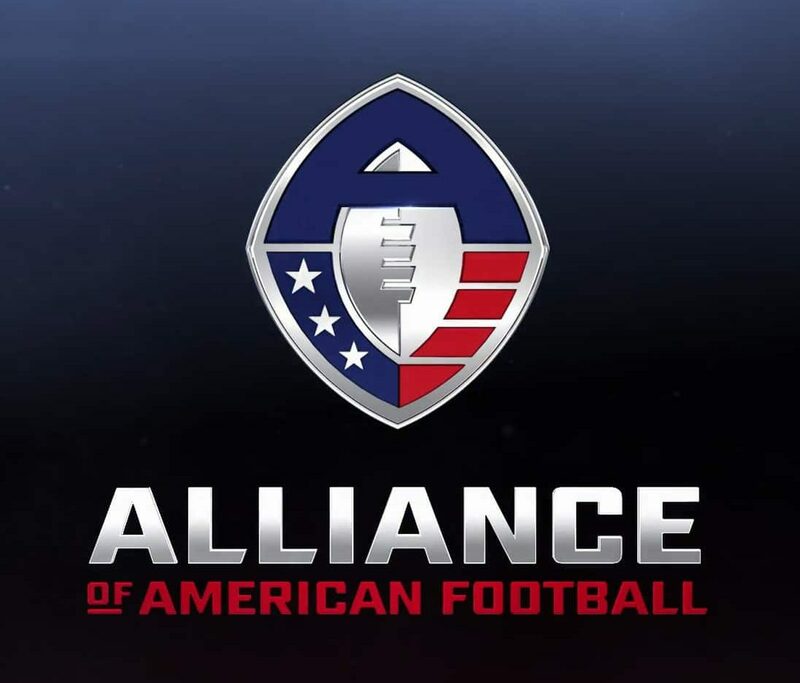 The Alliance of American Football suspended operations for the season and its future is very much in doubt. Still, the league’s players are not yet free agents by NFL standards, Mike Florio of PFT hears. Multiple sources tell Florio the NFL has instructed teams to refrain from talking to AAF players or their representatives. Furthermore, any team that violates that order may be in jeopardy of losing draft picks. As of this writing, the AAF player contracts are still in tact, even though they will not be playing in any more games for the league and will not be paid going forward. Therefore, NFL teams cannot negotiate with those players until the contracts are technically breached. The AAF isn’t exactly star-studded, but the league does/did have a handful of players who could be on the NFL radar. Players like quarterback Garrett Gilbert, running back Zac Stacy, wide receivers Charles Johnson and Jalin Marshall, and defensive end Damontre Moore will have to wait until they’re out of contractual limbo before exploring their next chance in the NFL.